This video shows you the mechanism for the formation of carbocation in a Lewis Acid as the super electrophile that is attacked by benzene in the Friedel-Crafts Alkylation reaction. This reaction produces an alkylated benzene. 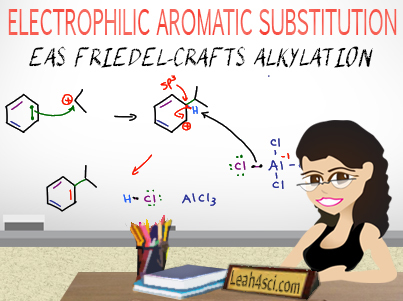 This is Video 6 in the Electrophilic Aromatic Substitution Video Series. Click HERE for the entire series.